I used to belong to Hudson Yacht Club west of Montreal. 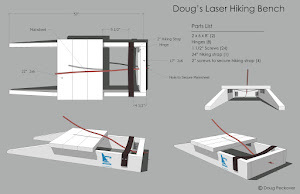 To keep it fair, their annual club championship was sailed in a different type of keelboat and I asked if they'd consider sailing it in Lasers. A fellow told me no because "Lasers aren't meant to be sailed by people over 35." Boy, was he wrong! 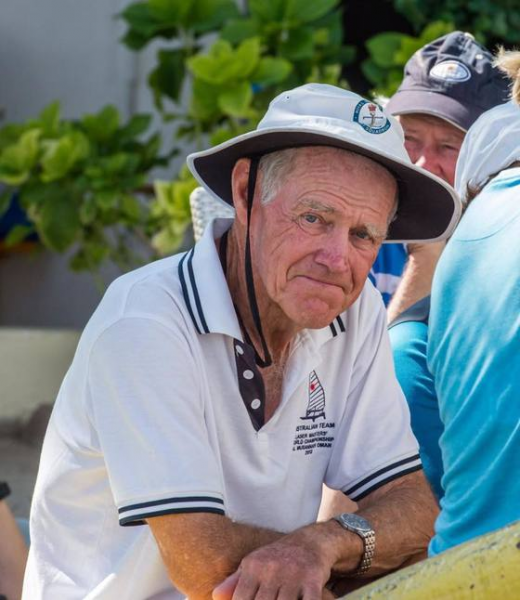 At the Laser Master Worlds, we have a category called Legends for sailors over 75. I love this because it shows how long we can compete if we stay in shape and take care of ourselves. The current Legend World Champion is Kerry Waraker from Royal Queensland Yacht Squadron. Here's how it's done. At the presentation ceremony at the Split Laser Masters Worlds, Doug asked if I would write about my preparation for the Worlds and later he added a few more topics of avoiding injury while sailing/training, mental approach, race strategy, and managing competitors. Southern Hemisphere Laser Masters sailors are at a bit of a disadvantage when the Worlds are held in the August - September period in the Northern Hemisphere. Typically our summer sailing season ends around Easter time so there is about a 6 month period before the Worlds without much competitive sailing. In Australia we have a few Frostbite races and the South Pacific Laser Masters regatta (a 4 day regatta) about 8 weeks before the Worlds. This means we have to train through winter and try to adjust to make up for the lack of fleet racing to be fit and at our peak for the Worlds. My 2016/17 club sailing performance had been disappointing and reflecting on that I determined that to get ready for the Worlds I needed to change a few things. Coaches around the world have been stressing the importance of all the above items for years so nothing really new there. There is nothing better than to have at least equal and preferably better boat speed than your competitors. 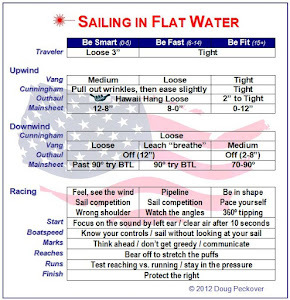 Better boats speed makes your race strategies and tactics look a lot better than they probably are although you still need to be reasonable proficient in these areas to do well in a high quality fleet. 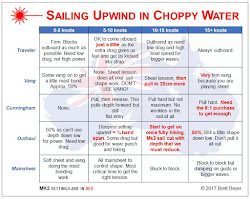 So given this thought I put a lot of effort into boat speed in my on water training. As Split was going to be a light wind regatta and my better results had generally come from stronger wind regattas I needed to spend time training in 4 to 8 knots wind conditions. The added requirement was to sail in heavier winds to get the hiking fitness needed in case of stronger winds in Split. The local winter winds characteristics allow me to do about half my training time in each of these conditions. By doing a lot of 2 boat sailing in the light conditions I arrived in Split feeling my light wind speed was good and this was confirmed in the practice race where I got to the first windward mark in first place and finish second. Starting and getting clear air is essential for a good result. In Split the starting line was fairly long with 62 starters and the pin end always seem to be favoured. I elected to start a third to half way down the from the start boat. The two reasons for this were that the pin end was very crowded and only a few boats come out of that position in good shape and advice from an Aussie sailor who sailed in the open Worlds was that with the wind in SW to W area the right seem to be the favoured. Starting closer to the boat allowed an easier passage to right by taking a few sterns if the start wasn’t so good. The advice about the right seemed be correct so I maintained this strategy for the whole regatta. My windward strategy was to be conservative in the first windward, not to be too far away from the leading group if possible, and try to be in the top 10 at the first mark and be a bit less conservative in the second windward if need be. This all fell apart in one race. In that race I had a good start and sailed on starboard with my mind in neutral waiting for a knock to tack back (which never came) and finished up overlaying the windward mark quite substantially. Talk about a senior’s moment?? I rounded the windward mark with only a few boats behind me but managed to get back to 15th which fortunately was my drop. Doug asked me to comment on this topic but I’ve not had any serious problems with injuries over the years I have been sailing (most of my life). Probably the worst injury was during the preparation for Split where I got 2 very small tears in my left shoulder and it still isn’t better. It didn’t really worry me much while I was sailing. I think the tears were a result of doing push ups but not sure. Anyhow I stopped doing push ups. I guess I am lucky that over the years this has not been an issue for me. I know I’ll have to stop Laser sailing sometime but not sure when. Peter Seidenberg is nearly 2 years older than me so maybe he will be my guide on this. Peter is still going as strong as ever so hopefully I’ve at least a couple of years left in me.